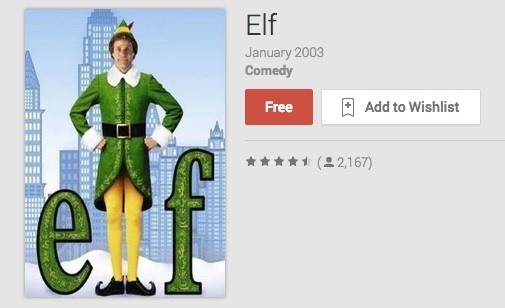 Google is giving away a free holiday movie gift on Google Play Movies, so head on over and download Elf, one of the best, contemporary holiday movies out there—for free! But hurry up, this is a limited time offer. Screw those boring Christmas movies and enjoy laughing at Will Ferrell and drooling over Zooey Deschanel. There's something for the whole family.